I actually finished this bracelet a few months ago, but only yesterday I finally took pictures of it (and some other new jewelry I made yesterday). 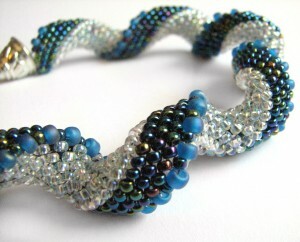 The design is from Bead&Button magazine, October 2005. My first Rafflecopter giveaway: $20 Amazon GC!! Oh, wow, that’s really cool! Love the colors you chose. 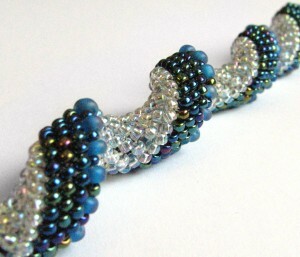 The photos for this bracelet look like the “Indespiral” stitch.